In US and EUROPE the official availability is planned for early January. The informations we received do say that Olympus is trying to anticipate the E-P2 sales on mid-December. I just received an email from Australia where Olympus confirmed that they will have the first E-P2 ready for sale on December 15. And the E-P2 firmware 1.0 is almost ready. 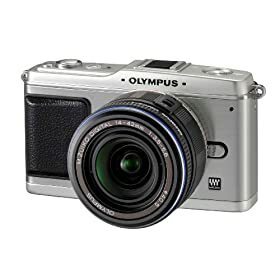 – Olympus E-P1 Camera with 14-42mm f/3.5-5.6 Lens (Silver Body/Black Lens) for $749.99! That’s -$50. US and Europe deals …and Germany has the E-P2 available (for preorder only)! – First, you can now preorder the new Olympus E-P2 for $1,099.99. 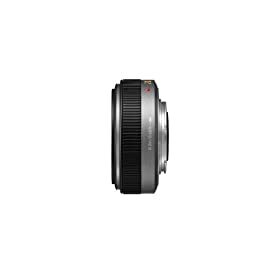 – Panasonic 45-200mm f/4.0-5.6 MicroFourThirds Lens for $283.10. – The Panasonic DMW-LVF1 External Live Viewfinder for Panasonic GF1 is also in Stock for $199. – Olympus PEN E-P2 SLR-Digitalkamera nur Gehäuse for EUR 899,00. – No Olympus E-P2 here but the discounted Olympus E-P1 . – Same as UK, no Olympus E-P2 here but the discounted Olympus E-P1 . New Pixmania Rebates for Germany and Italy!!! Olympus E-P1+14-42mm lens price drop! You save $125.00! Amazon.com dropped the price from $799 to $674.99! – Also in Germany the price of the Olympus E-P1 is falling. 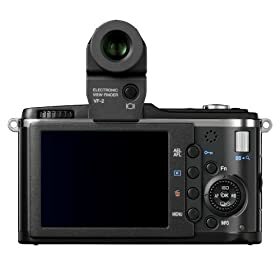 – Amazon US: Olympus E-P2 with 14-42mm f/3.5-5.6 Zuiko Digital Zoom Lens and Electronic View Finder also for $1,099.99! Amazon has the Panasonic LUMIX G 20mm f/1.7 Lens in Stock and the price is finally the right on ($399, sold by amazon! ). Amazon UK has also the Panasonic Lumix G 20mm/F1.7 Pancake Lens in Stock! UPDATED -> Lot of stuff back in Stock (or quite) in amazon US + price drop on the GH1! Amazon US has finally some Panasonic stuff in Stock with the normal price! UPDATE: Now the GF1+14-45mm is not in Stock anymore! – You can have the Panasonic DMC-GH1 12MP Four Thirds Interchangeable Lens Camera with 1080p HD Video for $1,449.98! That’s -50$! – Zwei Lumix 1,7/20mm Asph. auf Lager für 360 Euro! – Panasonic GF1 and Olympus E-P1 in Stock. Panasonic GF1 and Olympus E-P1 en Stock. – The Panasonic DMC-GH1 is now always in Stock.